A research team from Ruhr-Universität Bochum (RUB) and from South Africa has analysed two enzymes with identical substrate binding pockets that nevertheless convert different substrates. In the process, it emerged that changes to the enzyme surface affect its substrate specificity by modifying how densely it is packed inside. These findings might pave the way for manipulating the enzyme function. The researchers published their report in the journal Communications Biology on 2 November 2018. As the two analysed plant enzymes, so-called nitrilases, are very similar, the researchers were able to replace their components piece by piece. "We have thus found that merely by swapping one single component on the surface, we could make one enzyme convert the substrate of another enzyme," explains Associate Professor Dr. Markus Piotrowski from the Department of Molecular Genetics and Physiology of Plants at RUB. The researchers deployed electron microscopy to analyse why a modification of the surface can affect the substrate binding inside. The analysed nitrilases form larger helices that are big enough to be rendered visible under an electron microscope. "We could thus see that changes to the surface resulted in enzyme molecules in the helix to be more or less densely packed," describes Piotrowski. "This, in turn, presumably causes the substrate binding site to be compressed more or less tightly." In its more tightly compressed state, the binding pocket is no longer accessible to larger substrate molecules. For researchers, nitrilases constitute a model of the evolution of enzymes, but they are also deployed in the chemical and pharmaceutical industry as biocatalysts. To date, experiments aiming at modifying these enzymes by altering their substrate binding site have mostly remained unsuccessful. 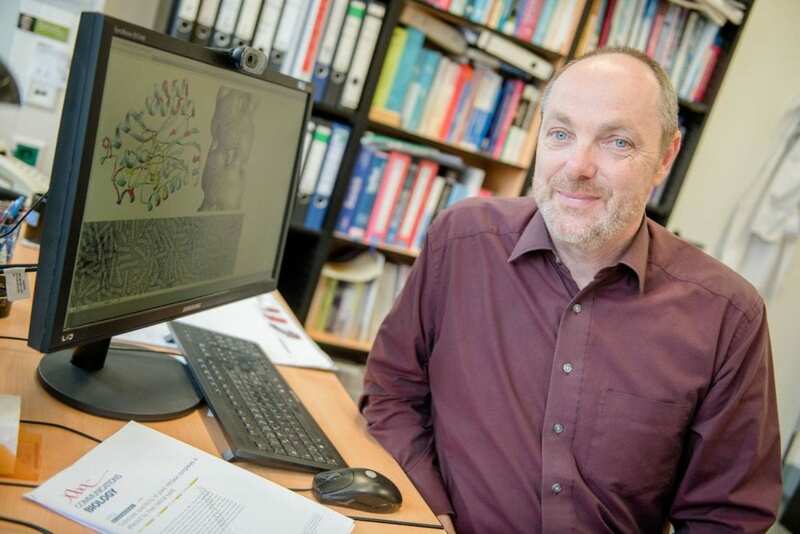 "Our results have shown that the quaternary structure, namely the number and arrangement of individual enzyme molecules, has to be taken into consideration," says Markus Piotrowski. Accordingly, targeted modifications of the enzyme function may be accomplished without performing any changes to the enzyme itself, but merely by compressing it into nitrilase helices with different densities. The project was funded by the German Research Foundation (DFG), the National Research Foundation of South Africa, and the DFG Open Access Publishing Fund at Ruhr-Universität Bochum. Can 'microswimmers' swim through jelly?